A sunny day at the picturesque Villa Maria Winery in Mangere was the perfect setting for the launch of the book “Handbook of Australasian Edible Oils”. This book is now available and can be ordered by downloading the order form on the Oils and Fats website. At the AGM the current committee were re-elected and a vote of heartfelt thanks was given to the Editor of the book Professor Charmian J. O’Connor. The treasurer Shane Lal featured recently in the July issue of Inform as one of the 2007 AOCS Honoured Students. The UK show “The Human Mind … and How to Make the Most of It” with Professor Robert Winston premiers on Australian TV. This show had an amazing reaction when it was shown several years ago in the UK. “One of the most fascinating items in the first program focuses on a group of British schoolchildren with attention problems who are fed a diet of omega-3 pills. Changes are seen in a matter of weeks. Winston is careful not to promote omega-3 too much but does say controlled trials support the idea that this fatty acid helps children learn: “The omega-3 story is very controversial and it runs and runs. What isn’t quite so clear is whether or not ordinary people need omega-3 in their diet as an adjunct in the way that it’s being sold in many pharmacies and drugstores and over counters around the world, including in Australia.”” This was a recent communiqué from our colleagues at the Omega-3 centre. They have a number of exciting speakers including Prof Bill Harris from the University of South Dakota, and leading Australian experts. Trichopoulou et al report in The New England Journal of Medicine, (2006, pages 2599-2608) the results of a population-based study involving 22,043apparently healthy adults in Greece, in which adherence to atraditional Mediterranean diet was associated with significantlylower total mortality, mortality from coronary heart disease,and mortality from cancer. To measure adherence to this diet,a score was constructed that incorporated relatively high intakesof vegetables, fruits and nuts, legumes, cereals, fish, andmonounsaturated fat; relatively low intakes of meat, including poultry, and dairy products; and moderate consumption of alcohol.One intriguing aspect of this study is that despite a robustinverse association between the overall Mediterranean-diet scoreand mortality, no appreciable associations were seen for mostof the individual dietary components used to construct the score.One possible explanation is that the effects of single nutrientsor foods may be too small to detect, whereas the cumulativeeffects of multiple dietary components may be substantial. Inaddition, there may be synergistic or interactive effects amongnutrients or foods, which the score automatically takes intoaccount. This column has run stories about olive oil fraud several times over the last few years, but now a hard hitting article has appeared in the New York Times. Entitled “A letter from Italy” “The trade in adulterated olive oil”, the article is a fascinating study into the profitable world of olive oil adulteration. More sophisticated scams, like Domenico Ribatti’s, typically take place at high-tech refineries, where the oil is doctored with substances like hazelnut oil and deodorized lampante olive oil, which are extremely difficult to detect by chemical analysis. 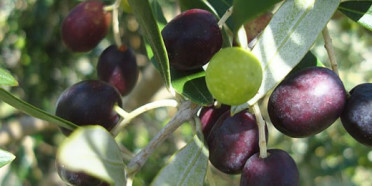 In 1991, the E.U., recognizing that laboratory tests fail to expose many acts of adulteration, instituted strict taste and aroma requirements for each grade of olive oil and established tasting panels, certified by the International Olive Oil Council, an office created by the United Nations, to enforce them. According to the E.U. regulations, extra-virgin oil must have appreciable levels of pepperiness, bitterness, and fruitiness, and must be free of sixteen official taste flaws, which include “musty,” “fusty,” “cucumber,” and “grubby.” “If there’s one defect, it’s not extra-virgin olive oil—basta, end of story,” Flavio Zaramella, the president of the Corporazione Mastri Oleari, in Milan, one of the most respected private olive-oil associations, told the author. Stories like these show that NZ extra virgin olive oil, certified as to origin, composition and flavour scoring, stands a very good chance of differentiating itself significantly in global markets and establishing a strong presence in discerning markets. This very interesting meeting of the cooperative group carrying out the FRST funded Nutrigenomics project also discussed the ideas around ingredients versus whole foods. The two day meeting showcased very interesting presentations from the various scientists from AgResearch, HortResearch, Crop and Food Research and Auckland University. Lipids were on the agenda with work being done on omega-3 and hypotheses that cholesterol reduction due to plant sterol ingestion may be significantly affected by genomics. At the seminar there was a presentation and a prize for “Excellent research rewarded” was given to Dr. Matthew Barnett. Matthew Barnett is an emerging leader in nutrigenomics research and was recognised as such when recently awarded an EE Dalton Award. Dr Barnett, of AgResearch (based at The University of Auckland), is finding out how omega-3 polyunsaturated fatty acids – the so-called ‘good’ oils found in fish – affect individuals with Crohn’s disease. The one-off award was made by the Foundation for Research Science & Technology from a bequest by Elizabeth Ellen Dalton, of Riverton in Southland, to commend excellent research and the emerging leadership of postdoctoral scientists. Dr Barnett will use the $10,000 to gain new knowledge and possibly new skills to help progress his research. Planning will commence soon for a two day seminar/conference on oils and fats. This is to be held in Auckland in mid November 2008. It will be a joint meeting between AAOCS, the University of Auckland and the Oils and Fats group.